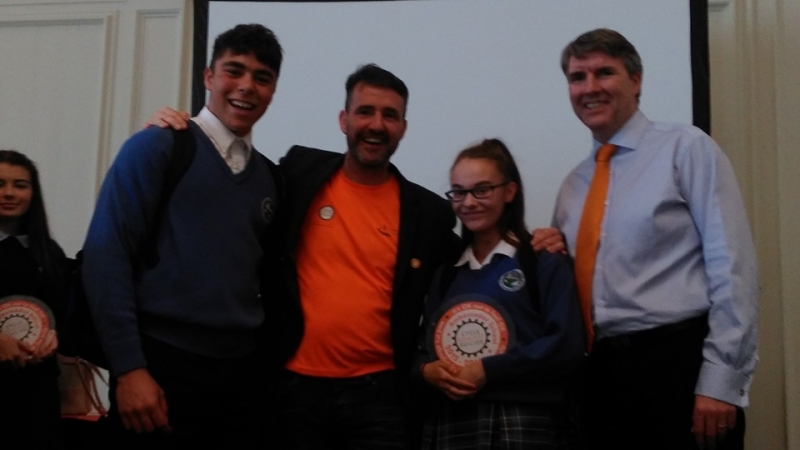 On Friday last, September 23rd, the now annual Cycle Against Suicide Ambassador School Awards ceremony was held at the Royal Hospital, Kilmainham. These awards recognised the immense efforts of 83 schools around the island of Ireland who have completed the Ambassador School Programme, and become actively involved in mental health promotion. The Ambassador School Programme, one aspect of a wide range of Cycle Against Suicide initiatives, is school-led, and involves the completion of “Five Gears” over the course of a year, all of which are aimed at raising awareness of the message that “It’s OK not to feel OK; and it’s absolutely OK to ask for help”. 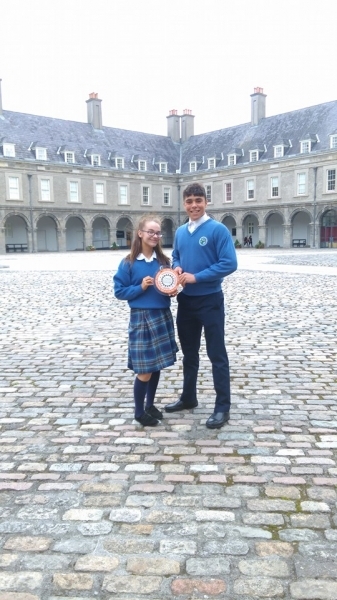 At a special reception held at The Royal Hospital, Kilmainham, Ardgillan College was awarded the prestigious status of Ambassador School by Cycle Against Suicide in recognition of its fulfilment of the Five Gears, and its exceptional commitment to the promotion of positive mental health. Ardgillan was represented at the event by Link Teachers, Ms Jenkinson and Ms Sweetman and students Jodie Reid and Ronan Michael who understandably are very proud of their achievements. “The Ambassador School Awards ceremony was a great day. It’s wonderful to attend such a positive event, and have the efforts of the students recognised. Our participation in the Ambassador School Programme has had an enormously positive impact on our school community, fostered a school-wide approach to the promotion of positive mental health, and provided incredible opportunities for student leadership”, said Ms Jenkinson speaking at the event. 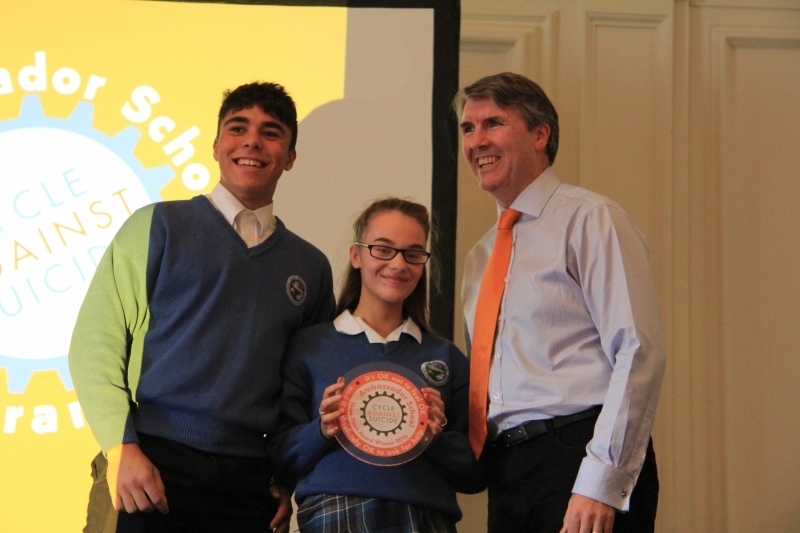 Representatives from the main education bodies and trusts, the Institute of Guidance Counsellors and the Ombudsman for Children, Niall Muldoon, all attended to celebrate the remarkable achievements of the schools involved. The leading charity was founded by Breen in 2012 after his appearance on RTÉ’s “The Secret Millionaire”. Each year the Movement engages with individuals, schools and communities through a variety of initiatives such as the Schools’ Programmes, the 14-day main Cycle around the island of Ireland, a SpinOff series of locally organised cycles, and Events Against Suicide, a dynamic week long programme of events which runs each September to coincide with World Suicide Prevention Week. To volunteer, register, or for more information please see www.cycleagainstsuicide.com .